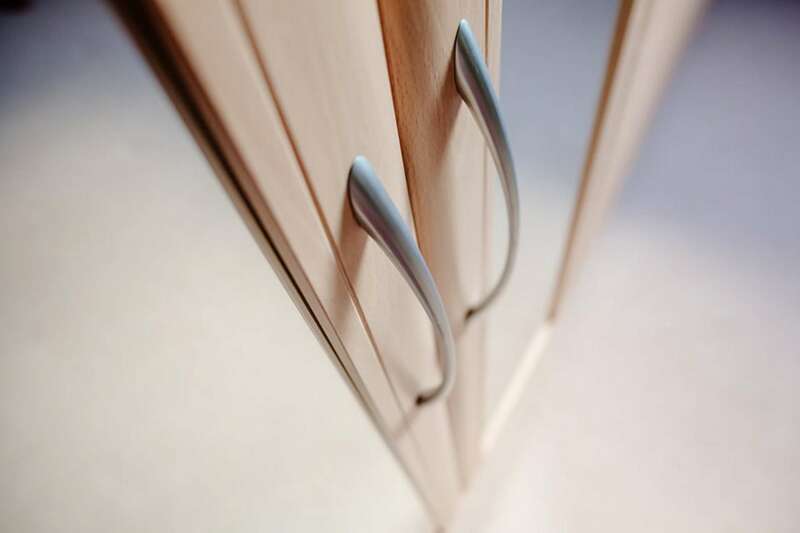 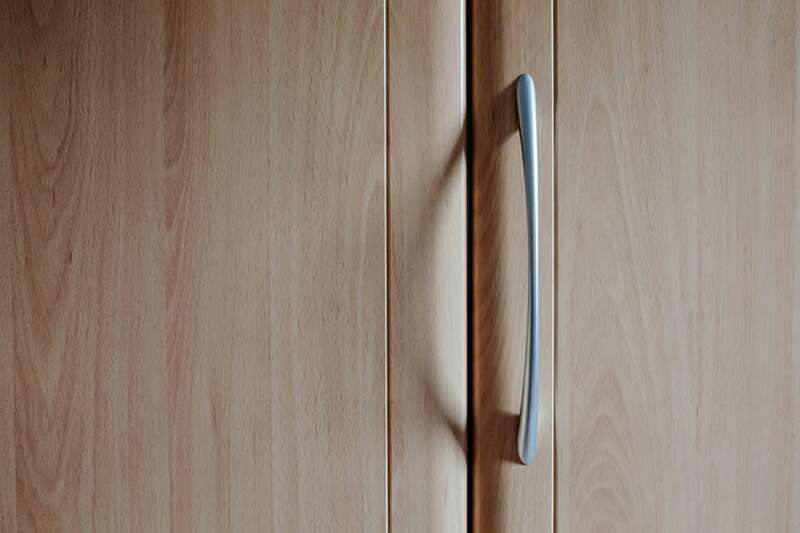 “Very pleased with the fitter as he was polite, friendly and his workmanship was to a very high standard all in all a superb job,” said Mr Anon. 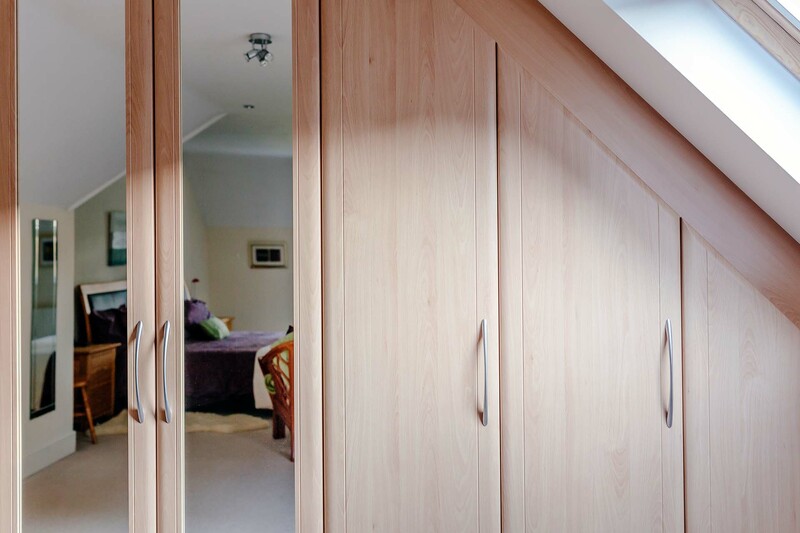 In this customer’s house we fitted wardrobes into angled ceilings. 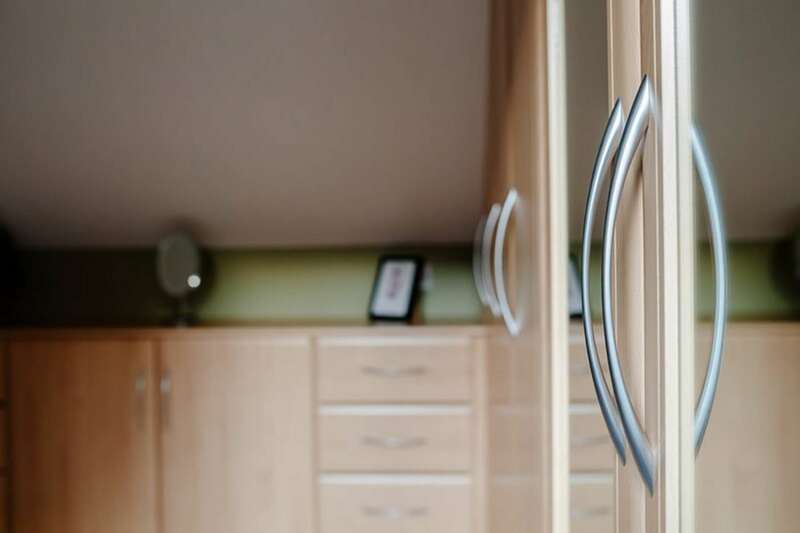 Any angled or sloping ceiling is a challenge when it comes to furniture. 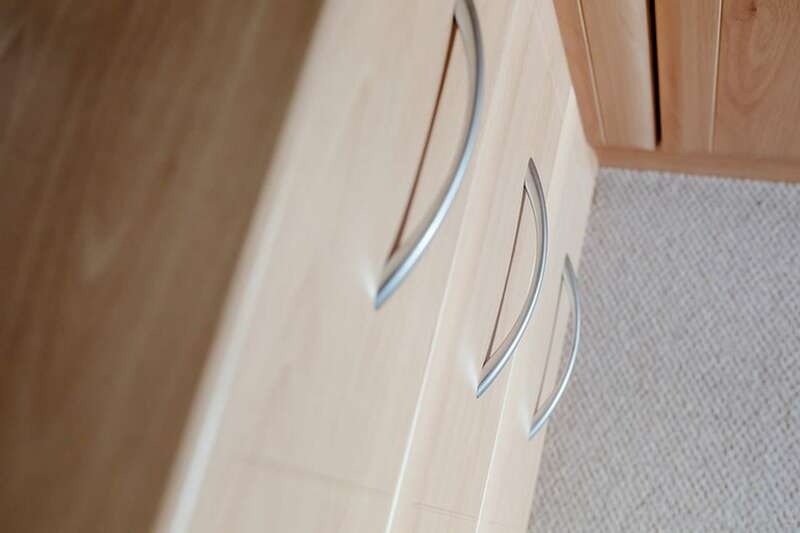 But with fitted furniture this challenge is solved, as each piece is carefully fitted to the shape of the room. 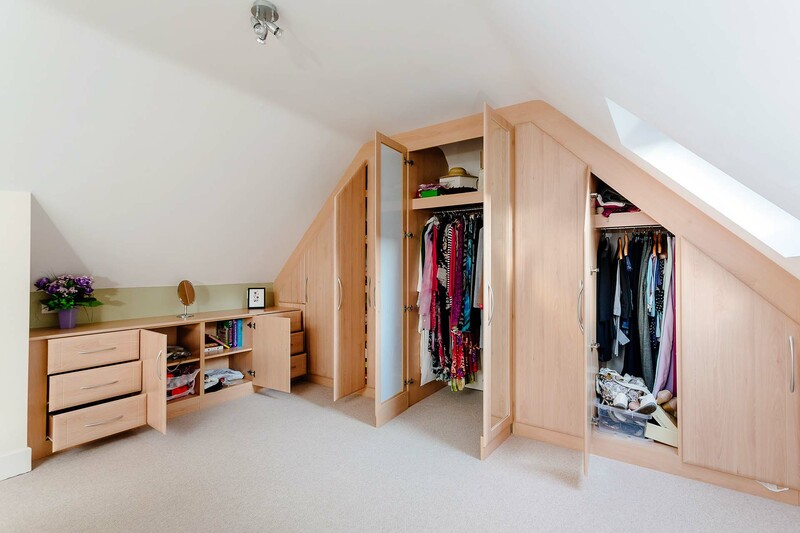 This would also apply to a loft-conversion room, which in most cases have many sloping ceilings. 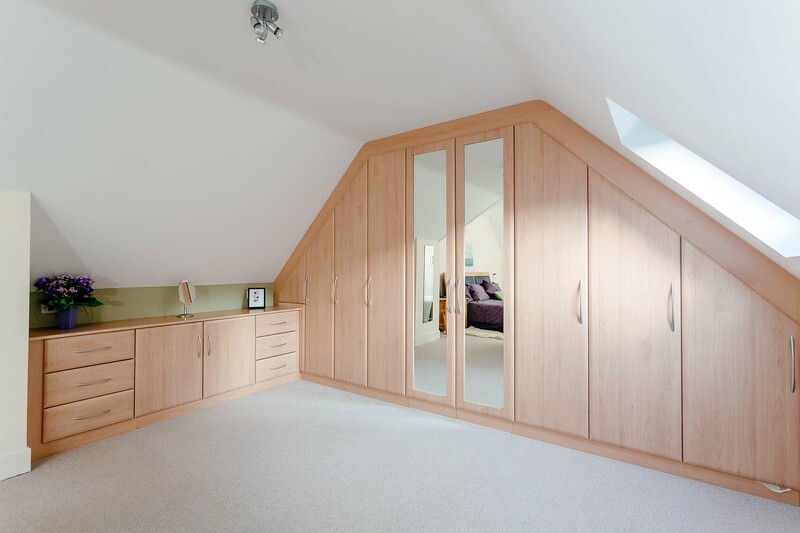 Where you have a loft conversion angled ceiling wardrobes are the best option. 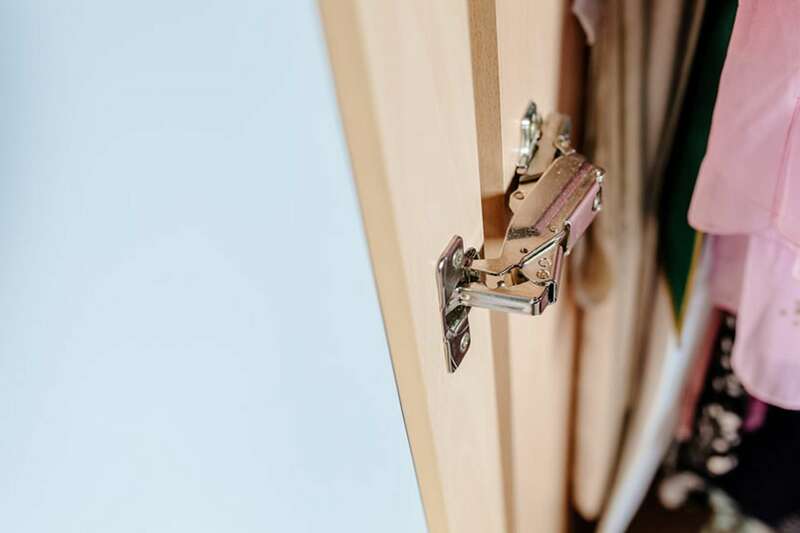 Instead of trying to make freestanding furniture work in the room, use fitted furniture to get the most storage…see always more storage with fitted furniture.